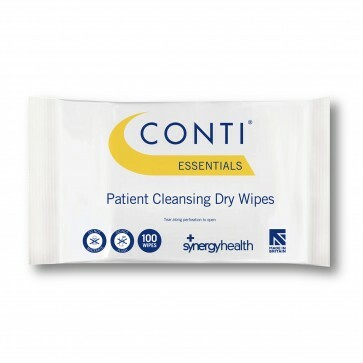 Conti-essential dry wipes offer the lowest cost option in the Conti wipes range. The wipes offer a fast and effective solution to every day patient cleansing. You can purchase the wipes in both large and regular. These wipes are ideal for those who purchase a large amount of wipes on a regular basis, and are suitable for use in hospitals and care homes.